Some homeless residents are angry and exasperated by the city of Durango’s decision to close down a site for overnight camping without providing an alternative. The temporary camping area near Greenmount Cemetery was closed Aug. 24. The city’s decision to close a homeless camp near Greenmount Cemetery last week has left some homeless residents feeling angry and exasperated with nowhere to sleep overnight. “They are violating our civil rights,” said Micheal “Raven” Cooper, a six-year homeless resident. The American Civil Liberties Union of Colorado sent a strongly worded letter to the city last week asking officials to suspend enforcement of the camping ban. The temporary camp near Greenmount closed Aug. 24. The letter said it was cruel and unconstitutional to punish residents for camping in public places when they have nowhere else to go. Some people have started sleeping during the day because of the camping bans said A.J. Singh, a homeless resident. Several homeless residents said that earlier this week, Durango police officers woke up a group of campers in the middle of the night and required them to leave Rotary Park. Officers have told campers they could stay in open space 15 miles from town, but they don’t have transportation, Cooper said. “All they are doing is harassing us,” he said. City Attorney Dirk Nelson declined to answer questions about whether the city might re-evaluate its position on camping after receiving the ACLU letter. He said he plans to send the ACLU a written response in the coming weeks. 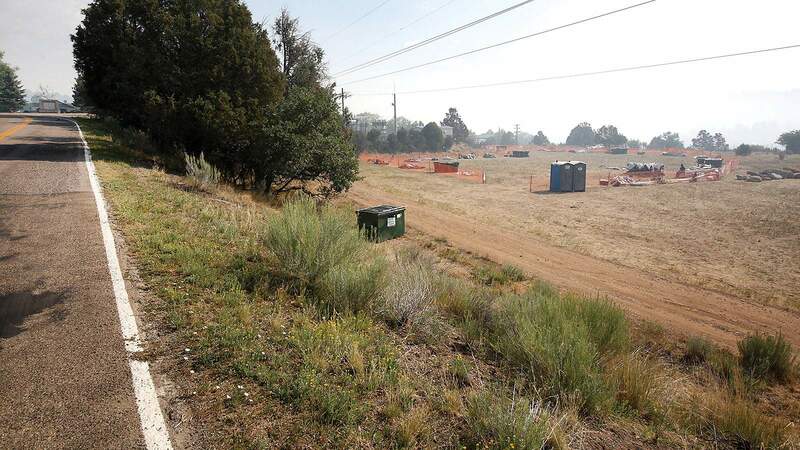 The current residential camping bans in open space surrounding Durango were in place up until 2015, when the La Plata County Sheriff’s Office started allowing homeless residents to stay north of the Tech Center. “Just because that was how the way things were doesn’t mean that was OK,” said Mark Silverstein, the legal director of the ACLU of Colorado. The La Plata County Sheriff’s Office encouraged campers to police themselves to keep the open space cleaner and safer after a young homeless man was bitten by a bear. Eventually, the Sheriff’s Office helped organize a self-governed camp. The camp generated heated public concern this year because of the extreme drought. It was moved four times in the wake of the 416 Fire before closing recently. While the homeless camp evolved in Durango, the legal landscape has also changed. In 2015, the U.S. Department of Justice weighed in on a case in Boise, Idaho, saying that punishing someone for sleeping was unconstitutional, Silverstein said. “If a person literally has nowhere else to go, then enforcement of the anti-camping ordinance against that person criminalizes her for being homeless,” the DOJ said. When asked if the ACLU would sue the city, John Krieger, a spokesman for the organization, said the group does not talk about lawsuits that may be filed. Addressing homelessness is going to take much better cooperation among city officials and between the city and homeless residents, Cooper said. “If they really want to solve the problem, they need to work with us,” he said. Durango city councilors have consistently called on the local nonprofit and faith communities to address the problem. Mayor Sweetie Marbury has recommended that homeless residents travel to the Fort Lyon Supportive Residential Community. The substance abuse treatment facility accepts new homeless residents on referral from health care agencies, said Cathy Alderman, a spokeswoman for Colorado Coalition for the Homeless, which runs Fort Lyon. Micheal Lukes, a homeless resident, said he is 21 days sober and has completed all the steps to enter Fort Lyon. But they don’t have room for him yet, he said. The city’s elimination of an option for legal camping has been stressful, but he said he’s dealing with it. “I don’t want to go back to drinking,” he said. A group of nonprofits and public agencies called the Community Collaborative on Homelessness has met twice to discuss how to address the issue, said Sarada Leavenworth, a spokesperson for the group. They plan to meet twice a month. The city is a member of the group, but when asked about the city’s role in the group, City Manager Ron LeBlanc directed questions to Leavenworth because Axis Health System is convening the group. The group has met twice and it is still determining what steps should be taken, Leavenworth said. Group members include the city, Durango Police Department, La Plata County, the La Plata County Sheriff’s Office, Housing Solutions for the Southwest and Manna, Durango’s soup kitchen. “All these partners are working together to find some solutions,” Leavenworth said. In September, Community Compassion Outreach, a Durango nonprofit, plans to hold its first fundraiser for a tiny-home village that would house homeless residents, Executive Director Donna Mae Baukat said. The group is in the early planning stages. The nonprofit expects to present plans for the small homes and village at its event and ask attendees for feedback, she said. mshinn@durangoherald.comThis story was updated to correct the name of the Durango nonprofit that has plans for a tiny-home village to house homeless residents.